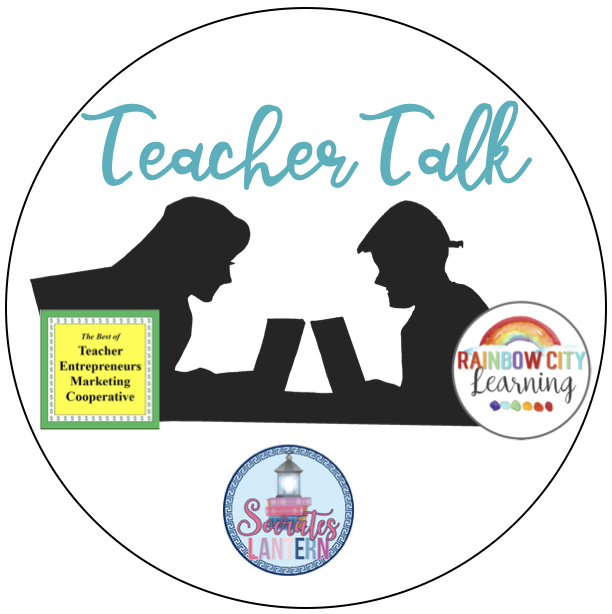 Teacher Talk’s Featured Author – Sally Hansen-Purposeful Plans! I am a United States military spouse and we have 2 children. Currently, we are stationed overseas. We have been traveling to the surrounding areas while learning new cultures. I have taught 1st, 4th, 5th, and 6th grade. 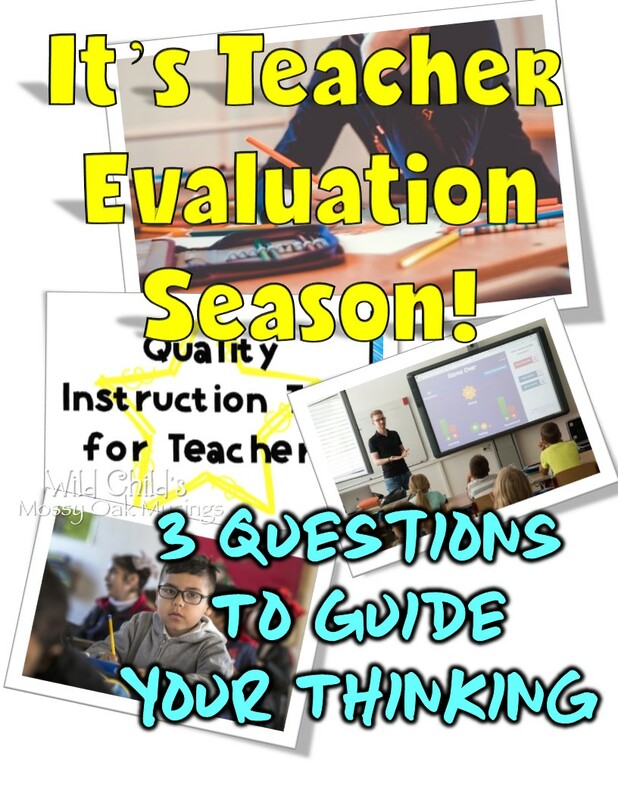 I am very passionate about teaching and believe that every minute in the classroom counts! What is the name of your Teachers Pay Teachers store? What types of products do you sell at Teachers Pay Teachers? What is your favorite free product from your TpT store? 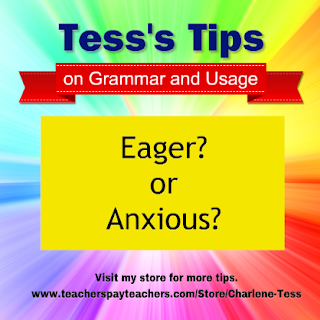 What is your best-selling product from your TpT store? What is your favorite product from your TpT store? What do you like best about The Best of Teacher Entrepreneurs Marketing Cooperative and/or Teacher Talk? I like how everyone works together to help promote each other’s products. It’s a community of educators supporting each other! 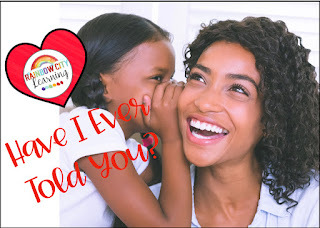 and blogging buddies and our blog linky, sign up here….The Best of Teacher Entrepreneurs Marketing Cooperative. If you decide to join, be sure to mention one of our names. Adding more to the air than love this February. 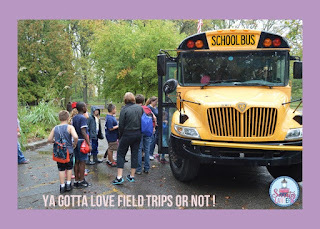 Ya Gotta Love Field Trips or Not! Showcase your students’ learning with a black history month celebration. Show your students learning creatively, inviting parents along the way. Makerspace activities are all the rage these days. 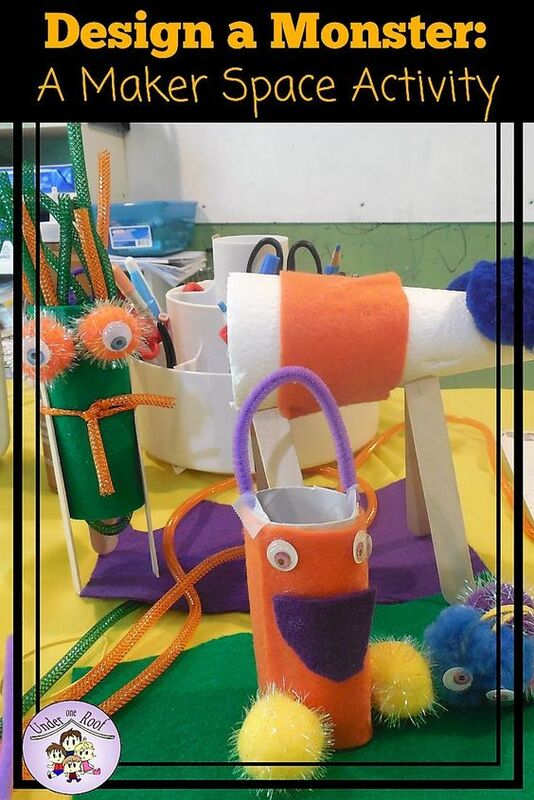 Learn how my kids used our makerspace to design and create their own Halloween monster. This is the perfect activity for elementary students who are too excited about Halloween to do any kind of regular school work. I’ve found that using colors when writing on the whiteboard can be helpful in multiple ways. Colors can be used to create associations in the minds of learners, and the more you repeat the same method of color usage, the more those associations will strengthen in the learners’ minds. Using these associations, students are quicker to find mistakes or identify what they’re supposed to do. 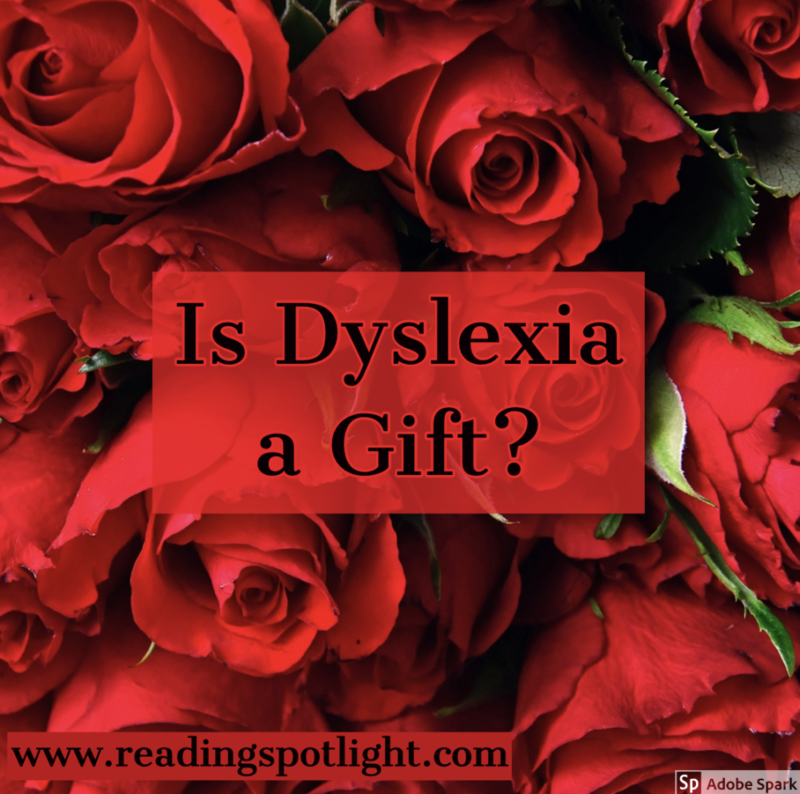 Can dyslexia be considered a gift? Read this post before you decide. Brainstorming can be an intimidating and daunting task for many students. It’s hard for young writers to come up with ideas for a topic without having a lot of life experience. It is necessary to brainstorm WITH your students in the beginning, then gradually hand over the responsibility to students once you have taught them strategies and skills to use. 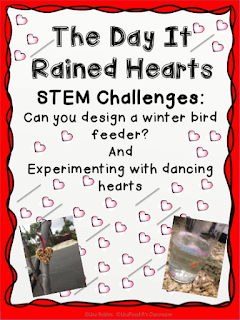 Your older elementary(gr.4+) can make this beautiful Valentine tabletop decoration gift for their family. Part construction/part craft, the kids will enjoy making this project. It even lights up. Differentiating in your classroom can be a lot easier than you may think. Learn five easy ways to differentiate in your 4th through 8th grade classroom and help all students succeed. Here’s your go-to for some Valentine’s help!! 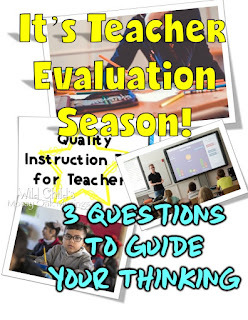 It’s that time of year…You’re going to be observed and evaluated. What will you teach? Sometimes, it feels like a dog and pony show. These 3 questions will help you authentically reflect on your growth. 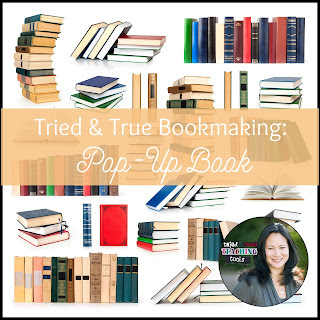 Here’s an oldie but a goodie: the pop-up book. Kids (and adults) never get tired of making these because there are so many options for creativity. As any English teacher can tell you, the thesis statement is the most important part of the essay. It defines the arguments and orients the reader. 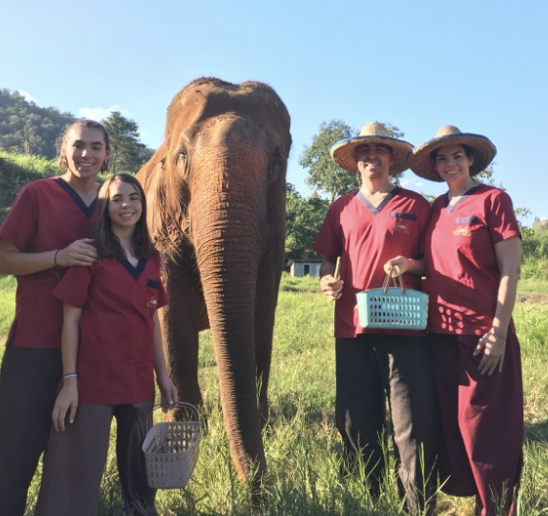 Unfortunately, many students have difficulty with the thesis statement. This is why I have created the “7 Steps to Writing an Effective Thesis Statement” poster. 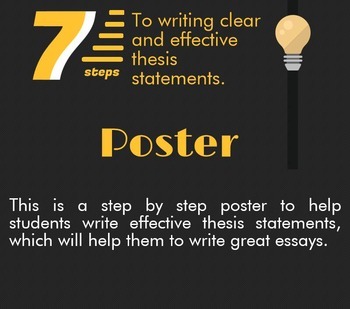 The poster is a step by step guide on how to write the thesis starting with selecting a topic the student understands and walks them through the process until the end. Players move around the coins to the pot of gold finish. One player will have to be Mouse to check answers. 36 lucky shamrock cards with 2 facts on each card. This game is both fun and engaging! Great for math centers and early finishers. I also provided a task card recording sheet if you would like your students to review without using the game. 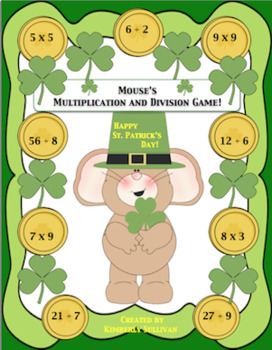 The title of the game is Mouse’s St. Patrick’s Day Game. I chose this name in case you would like to change things up a bit. You could have your students use addition and subtraction flash cards. They could also make their own cards using more difficult problems , spelling words, or vocabulary words. Students can draw a shamrock on each card they make for the game to represent the lucky shamrock. The same directions can be used with a few minor changes. The game can be used for any type of review. I hope your students enjoy this freebie! Thanks for downloading and feedback is always appreciated!